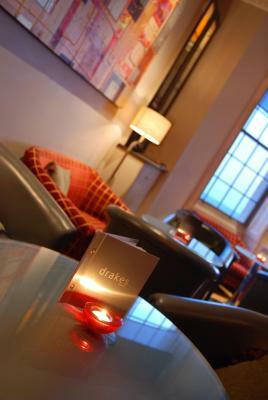 Lock in a great price for Drakes Hotel - rated 9 by recent guests. 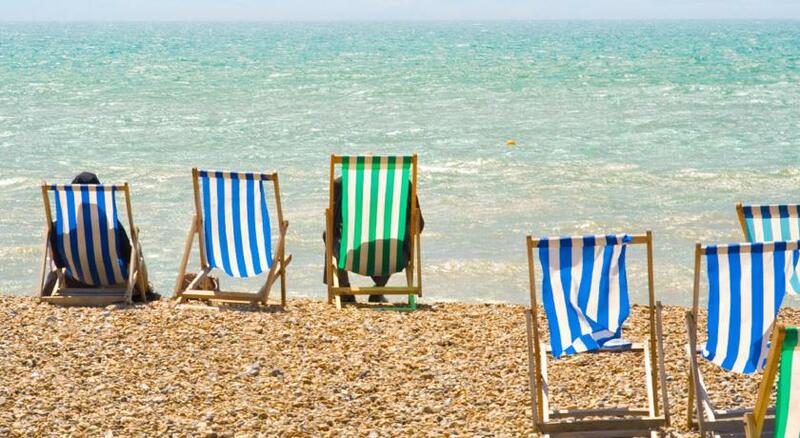 The location is fantastic and the views out across the sea are fabulous. 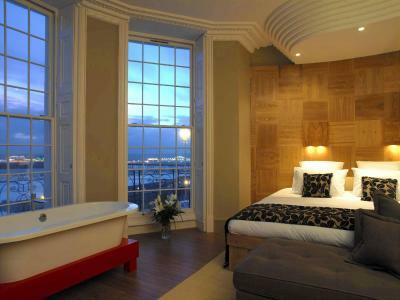 The room and the bed were very comfortable and the free-standing bath in the window, with those views - wonderful! The staff are particularly friendly and helpful. We had a wonderful stay. Parking onsite/nearby was a bonus. Can't comment on the food, as we didn't eat at the hotel. The staff were fabulous. Every single one of them. It turned a 3/4 Star location into a 5 Star experience. Very nice beds and the bath was very nice to be part of the room. Did like the view and wouldnt change the room at all. Sky was also a nice added bonus to the room with free bottles of water and tea and coffee facilities. Overall I would definitely stay again in the future. Lovely hotel with very friendly and helpful staff and excellent breakfast. Excellent little bar with delicious cocktails. Didn't try the restaurant but will do when we next visit. Breakfast had a wide variety of choice and was very delicious. Room was very comfortable and perfect location. Loved loved loved this place. Splashed out on a fancy room and we were blown away! Excellent restaurant too. Lovely room with a beautiful view only downside is the shutters kept blowing open so couldn’t have windows open with privacy, also the noise from the road was really loud cars and kept hearing people walking around outside our room. Could do with a little tlc for the price you pay for the room. 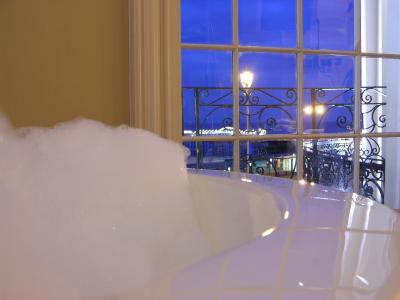 Apart from that lovely bath with a view and little white company touches. Disappointed with lack of value for money Breakfast overpriced and overdelayed served in the basement. No lift on site so if you have difficulties with legs or stairs or heavy bags do not recommend. A late night check in to Brighton hotel Drakes, handy parking available outside (at £15 fee), and a nice welcome from friendly staff. 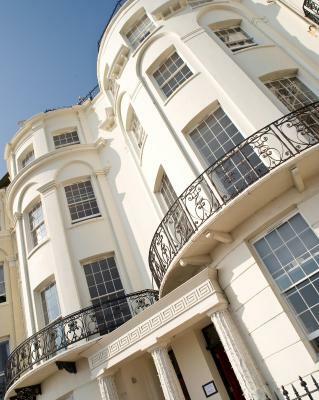 Cool sea front location in a handsome white fronted building. 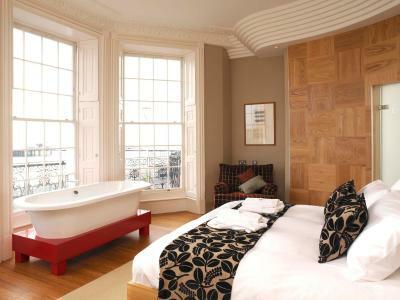 The room was very modern, with crisp sheets, a funky bedside bath and clever storage. High quality coffee / drinks / treats. Very clean. A two minute walk across the sea front road in the morning to enjoy some time on the gorgeous Brighton beach and watch the icy winter swimmers. 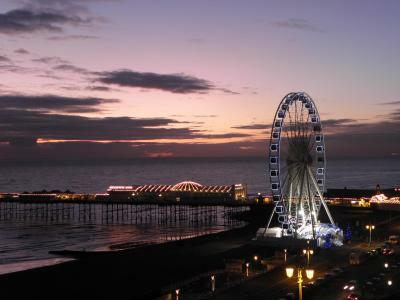 Drakes is a luxury boutique hotel on Brighton’s seafront, overlooking the Brighton Palace Pier. It offers unique 4-star accommodation, and has a fine-dining restaurant and vibrant cocktail bar. The fully air-conditioned rooms have a flat-screen TV with Sky channels, along with free WiFi. The ‘Vi Spring’ beds have Egyptian cotton sheets, velvet throws, and goose or duck-down bedding. 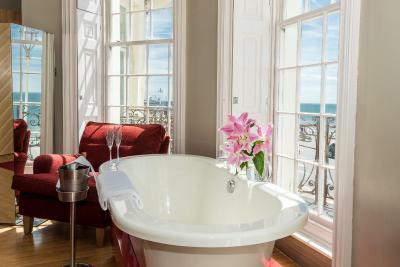 Some rooms also have a free-standing bath tub next to stunning Georgian windows, with views of Brighton or the seafront and pier. 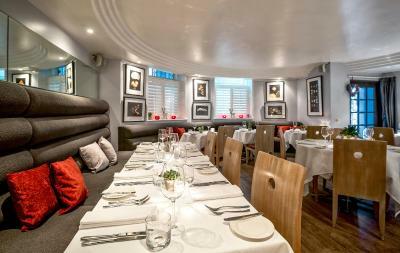 Drakes has an award-winning restaurant on site, with a modern and original European menu. Food is made using seasonal, and where possible, locally sourced ingredients. The 24-hour lounge bar boasts sea views, and serves bespoke and classic cocktails, spirits, wines, champagnes and craft beers. 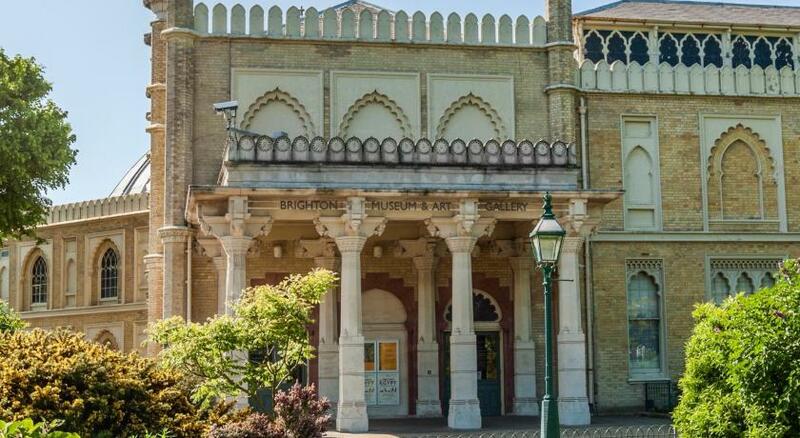 Kemptown is a great choice for travellers interested in nightlife, pubs and cafés. Drakes Hotel has been welcoming Booking.com guests since 31 Aug 2010. 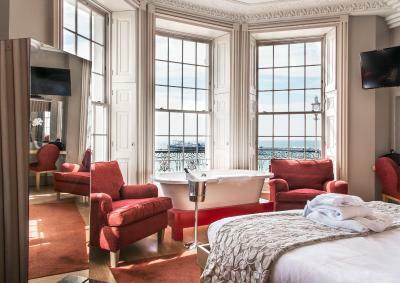 When would you like to stay at Drakes Hotel? 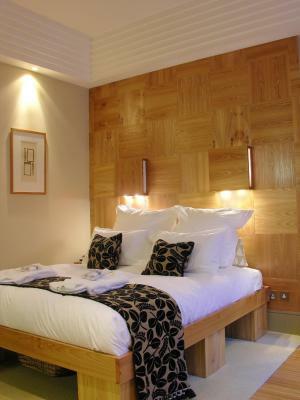 This room has a small handmade double bed with a Vi-Spring mattress, a sea view and an en suite bathroom. 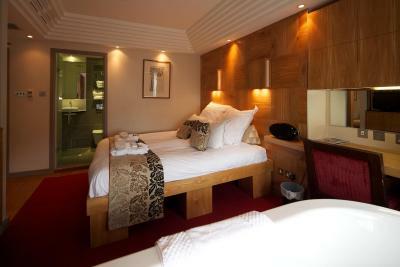 Each room has a flat-screen TV with Sky channels, air conditioning and free WiFi. Complimentary tea/coffee making facilities and 24 hour room service are available. Rooms are situated on the second and third floors of the hotel and are accessible via stairs only. 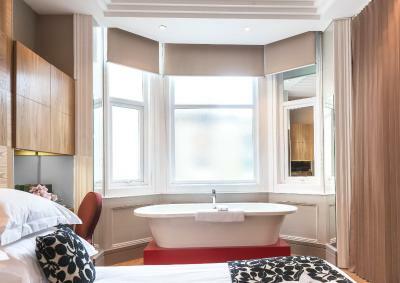 This is a city-facing room and features a queen-size handmade Vi-spring bed, en-suite wet room with a shower and a freestanding bath in the room. 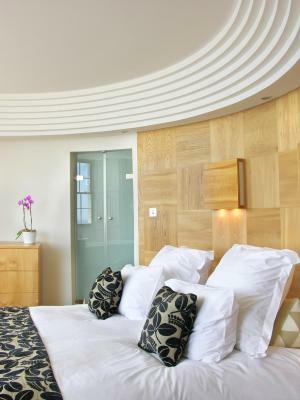 Each room has a flat-screen TV with full Sky TV package, air conditioning and free WiFi. Complimentary tea/coffee making facilities and 24 hour room service are available. Rooms are situated on the first, second and third floors of the hotel and are accessible via stairs only. Please note, as these rooms are at the rear of the hotel they have frosted windows for privacy. 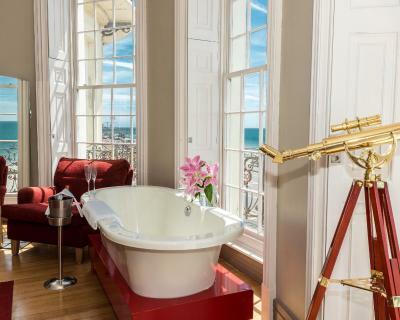 This compact room with sea view allows guests to face the sea whilst soaking in the freestanding bath. 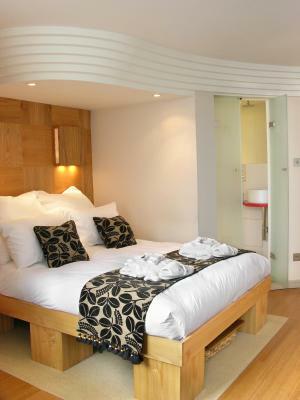 Each room has a handmade double bed with Vi-Spring mattress and a compact en suite wet room with a shower. 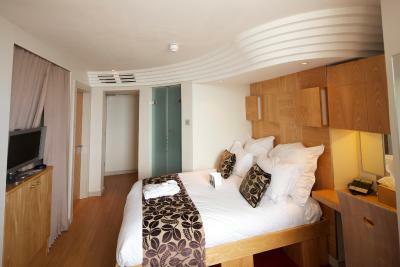 Each room has a flat-screen TV with Sky channels, air conditioning and free WiFi. Complimentary tea/coffee making facilities and 24 hour room service are available. 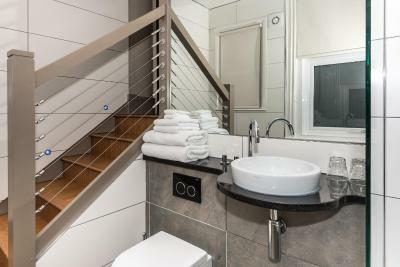 Located at the rear of the hotel, these spacious rooms offer a town view and feature a staircase which leads down to a traditional bathroom. 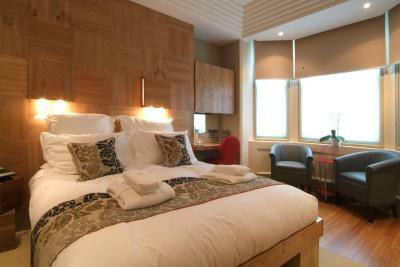 Each room has a handmade king-size bed with a Vi-Spring mattress, a flat-screen TV with full SKY package and free WiFi. 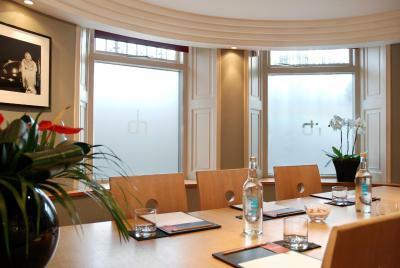 Air-conditioning, complimentary tea/coffee making facilities and 24 hour room service are available. Rooms are situated on the first, second and third floors of the hotel are accessible via stairs only. 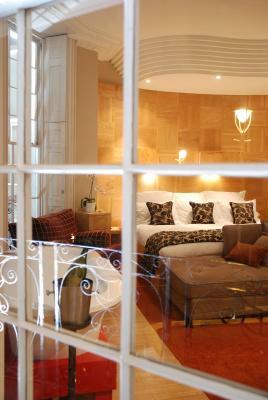 Some rooms offer a town view, while the first floor room has a limited view of the roof garden. 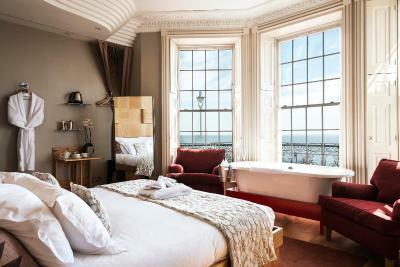 These rooms feature a handmade super king-size bed with a Vi-Spring mattress and offer sea views. 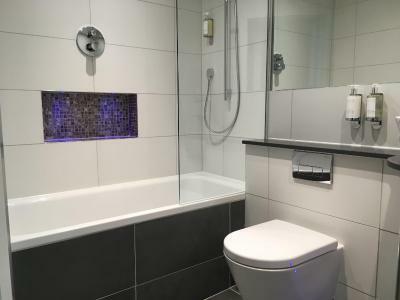 A wet room with a shower and a freestanding bath set in front of triple aspect windows is available. 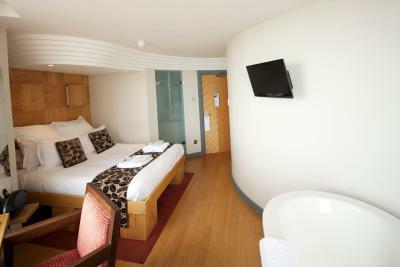 The room includes a seating area, a flat-screen TV with Sky channels, air-conditioning and free WiFi. Complimentary tea/coffee making facilities are provided and 24-hour room service is available. Rooms are situated on the first, second and third floors of the hotel are accessible via stairs only. 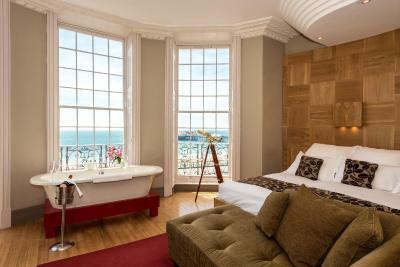 Located on the first floor, this room features a super king-size Vi-spring bed and offers views of the sea and the Brighton pier. 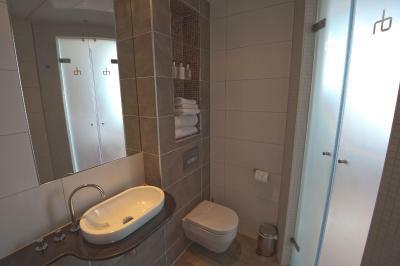 A wet room with a monsoon shower and a freestanding bath set in front of floor-to-ceiling windows is available. 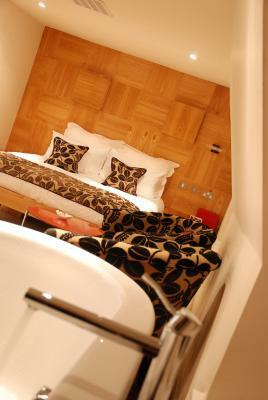 This room is situated on the first floor of the hotel and are accessible via stairs only. 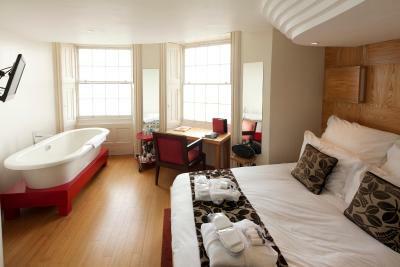 This is a city-facing room and features a queen-size handmade Vi-spring bed, en-suite wet room with a shower and a traditional bath. The room has a flat-screen TV with full Sky TV package, air conditioning and free WiFi. Complimentary tea/coffee making facilities and 24 hour room service are available. This room is situated on the ground floor of the hotel. Please note, as this room is at the rear of the hotel it has frosted windows for privacy. 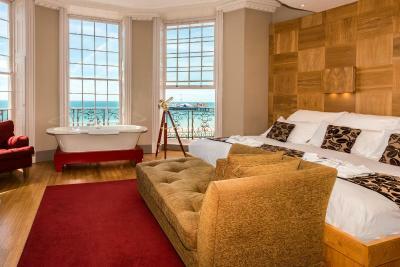 This is a sea-facing room and features a queen-size handmade Vi-spring bed and a large en-suite wet room. The room has a flat-screen TV with full Sky TV package, air conditioning and free WiFi. Complimentary tea/coffee making facilities and 24 hour room service are available. This room is situated on the ground floor of the hotel. 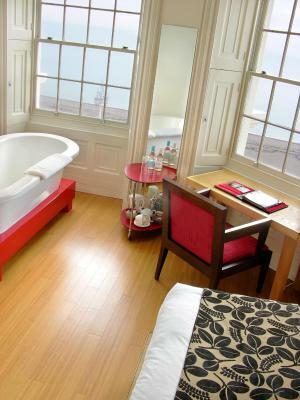 This is a sea-facing attic room and features a double handmade Vi-spring bed. 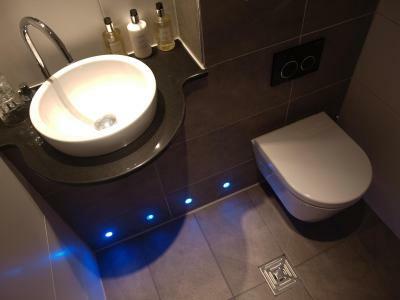 You can opt for either a free standing bath, and a small wet room shower, or a separate en-suite bathroom. The room has a flat-screen TV with full Sky TV package, air conditioning and free WiFi. Complimentary tea/coffee making facilities and 24 hour room service are available. 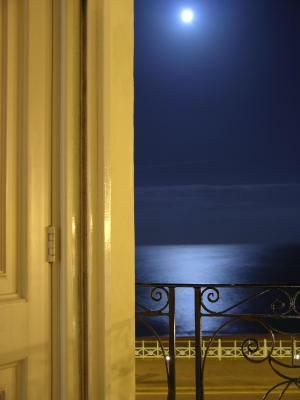 These rooms are situated on the fourth floor of the hotel, please be aware that we do not have a passenger lift. This is a city-facing attic room and features a double handmade Vi-spring bed. 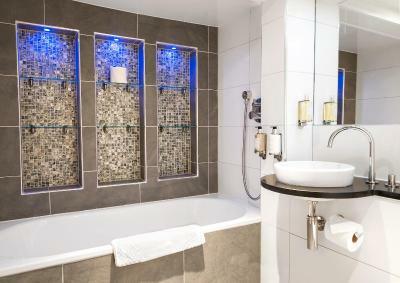 You can opt for either a free standing bath, and a small wet room shower, or a separate en-suite bathroom. Built in the late Georgian period by Amon Wilds, Drakes was originally two town houses designed by architect Charles Busby to complement the fine Regency houses of the area. 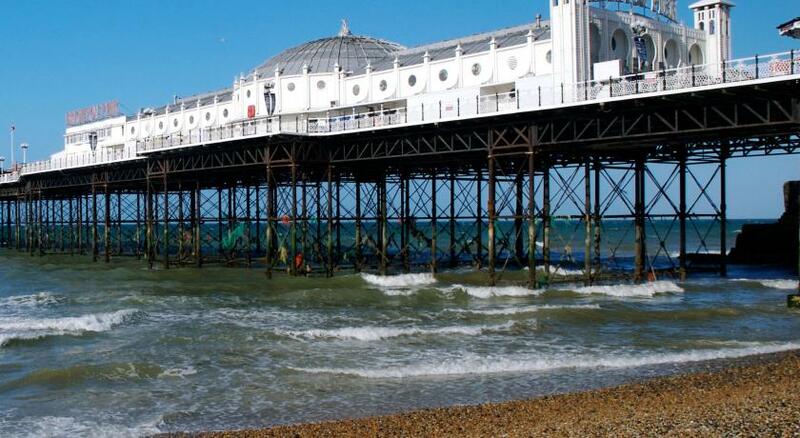 With commanding sea views, Drakes can be found near to the site of the old Chain Pier, Britain’s earliest pier, which was used as a ferry embarkation point from Brighton to Dieppe and sadly collapsed in the storms of 1896. 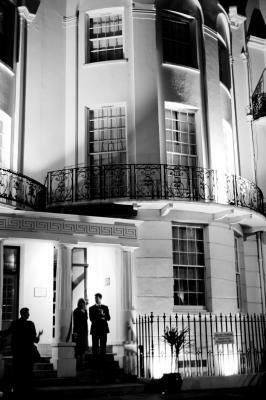 The property remained as a private residence until approximately 45 years ago when it was bought by Mr and Mrs Simmonds and was known as “The Simmonds Hotel”. The present owner purchased the sadly dilapidated property in 2002. 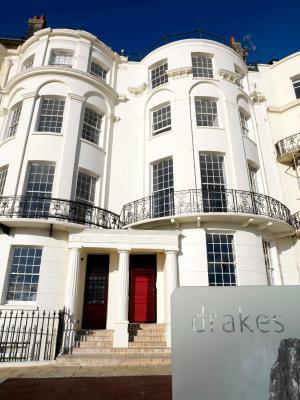 Since then, 43 and 44 Marine Parade have been sympathetically renovated, by award-winning architect Michael Phillips and designed by Tim Shepherd in a project costing more than £2.5 million, to form Drakes, a stylish, contemporary boutique hotel and equally superb fine dining restaurant. 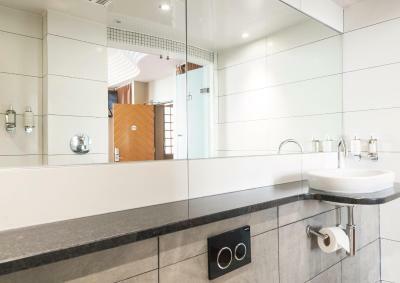 Hotel surroundings – This neighbourhood is a great choice for travellers interested in nightlife, pubs and cafés – Check location Excellent location - show map Guests loved walking around the neighbourhood! House rules Drakes Hotel takes special requests - add in the next step! Drakes Hotel accepts these cards and reserves the right to temporarily hold an amount prior to arrival. Please note, a 2-course lunch is available for GBP 20, while a 3-course dinner is available for GBP 45. These can be reserved ahead of time by contacting the property directly with the contact details provided in your booking confirmation. Please note breakfast is not included in the rate. It can be ordered and paid for on check out. Kindly note the accommodation is located on the first, second and third floors, and is accessible via stairs only. Therefore it may not be suitable for guests with mobility impairment. The property does not have a lift. Please note, the Luxury Double Room has frosted windows. One tiny thing - could have done with more hooks in the bathroom. We never got breakfast as the cost was high for what was on offer. The breakfast in bed was a great option which we never used. But not a deal breaker. Couldnt drain the bath and they were not able to fix it or move us to another room. Carpet in the bedroom a little tired, and limescale under the tap. I would like to have breakfast included in the bill; it's easier when we book. 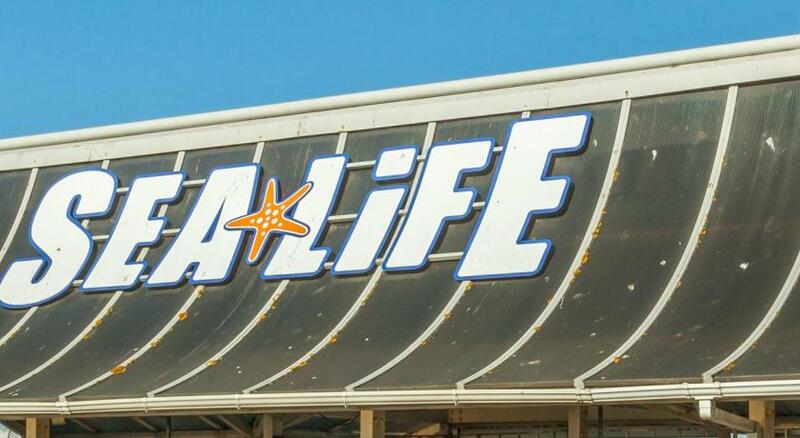 Staff should promote their restaurant more as we didn't realise there was one until too late. No mini fridge Had to tell front of house that there was a considerable amount of dust on the back wall and wall light bracket, which the cleaners had obviously neglected. Front of house took it upon themselves to clean this up while I went for dinner. Good initiative from them. No blinds, could do with a little tlc Fix the shutters on windows.